Food Filling Machine by Zitropack the Leader in Food Packaging Equipment. Welcome to Zitropack Ltd: The Source of Packaging Equipment. Welcome to Zitropack – Food Filling Machine, the source of Food Packaging Equipment. Zitropack’s superior quality and service is what sets us apart from our competitors. We design and manufacture inline, rotary, and complete turn key Food Packaging Equipment. Our Food Packaging Equipment is user friendly and easy to maintain. We can supply you with one of our standard machine lines or customize our equipment to fit your needs. Our Food Packaging Machines are reliable, perform with a soft and silent operation and are low maintenance, providing minimum down time. Zitropack – Food Filling Machine can also improve your existing line production with machine retrofits; Attachments including automated container dispensers, tamper evident heat seal stations, product fill or scale stations and overcap lid stations. 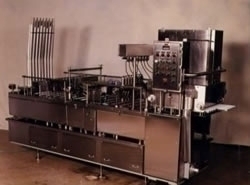 Zitropack – Food Filling Machine employs a staff of highly experienced machinists and service technicians. We invest in new technology including CNC equipment. This investment increases our production and efficiency, which allows us to provide our customers with continuously high quality, state of the art packaging equipment at competitive prices. 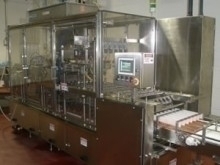 Zitropack – Food Filling Machine maintains a high standard of customer trust and satisfaction. Zitropack and our staff will never divulge any information regarding your current project. We have many food packaging equipment customers, that we would be happy to show you examples of what we can do for you. We provide the best Food Packaging Equipment in the industry. Call us today for a quote..
Zitropack machinery is built through craftsmanship, top brand components and employing a highly skilled staff with over 30 years. To assure quality and successful installations, our field service engineers assist with the design and assembly of our packaging machines.